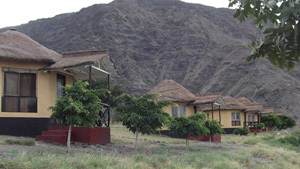 Lengai Safari Lodge is, since 2014, a accommodation located in the East African Rift Valley, Tanzania at Maasai region Engare Sero Village near Lake Natron. We also have campsite for tents. 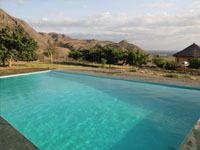 Lengai Lodge has a swimming pool, solar power, light 24 hours, 12 volts and 220 volts at the main building. We offer you a relaxing lodging and good services. For rates and further questions, please don't hesitate to contact us.